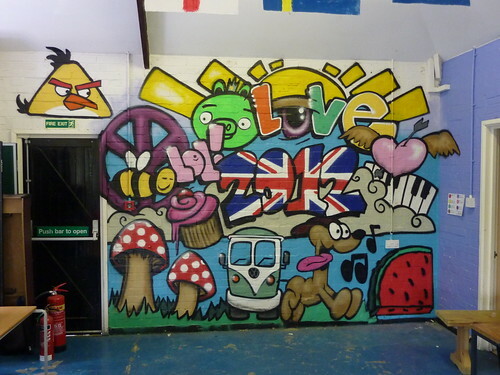 Young People at WSYC individually designed sections of the wall in their youth club.They then came together with Arkadegraphics and collectively painted their ideas into one large mural . This entry was posted in Artwork, Commissions, Workshops and tagged artwork in woburn, woburn graffiti, Woburn Sands Youth Club. Bookmark the permalink.